4- Reduce the pressure on the CREA price derived from the impact of the mining activity and the large amount of CREA that is generated daily according to the current configuration of the blockchain (Inflationary configuration). The main advantages of DPoS are its scalability and the malleability that it contributes to the blockchain since it is easier to find the consensus to implement improvements in the core and apply them in a short period of time. At the same time, it provides a quick verification of transactions of up to 2000 TPS (Transactions Per Second). Approximately 70% of annual inflation is distributed to users who publish, vote and discuss content and the 15% will be granted to the holders of the token.. The remaining 15% ​​will be distributed to witnesses who participate as elected nodes of the network. More information about the new Crea 2.0 Tokens. 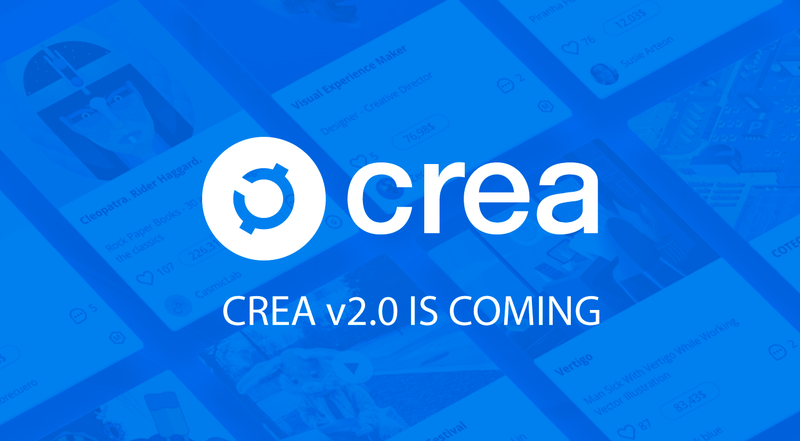 With CREA 2.0, we will generate approximately 3700 CREA per day. An amount that we think is enough to reward authors, curators and nodes. The reduction of the reward and the consequent massive distribution among thousands of users that participate in the network will generate a scarcity effect and more difficulty in getting CREA. Apart from this reduction, the reward per block will gradually decrease each year. This effect, known as Halving in the bitcoin network, has generated an increase in the value of the cryptocurrency due to the scarcity and difficulty of getting more coins with the same effort.